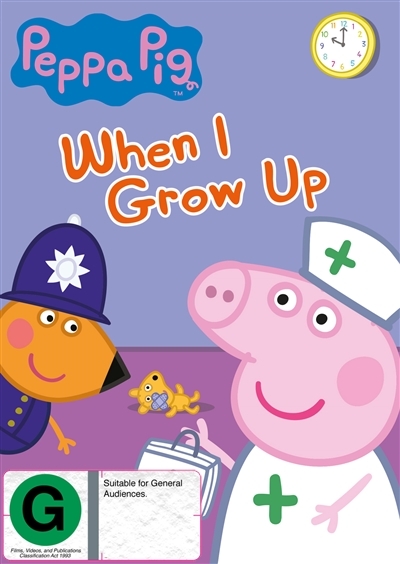 One day at playgroup, Peppa Pig and her friends play dress up and imagine what they would like to be when they grow up. Emily Elephant would like to be a teacher, Freddy Fox wants to be a police officer, and Suzy Sheep might be a doctor. But what about Peppa? She isn't sure what ... read full description below.